WordPress security is of utmost importance if you are starting a new WordPress website. More importantly, if you are running a business website, then you will have to keep it secure to avoid every single problem. There are countless vital things that you need to focus on so you can secure your WordPress website and prevent every single problem that you are facing. There are few basic and advanced security features that you can try to come up with a better solution. Here is the list of 12 important ways to make your WordPress website highly secure. The first thing that you need to do is to make sure that your WordPress is always up to date. There is a reason why the WordPress is updated now and then. By updating your WordPress, you will be able to secure your website, and you will be able to get things in shape. By keeping your WordPress up to date, you will be able to avoid all the new threats to your website as the latest updates will help you get rid of the risks and hacking attempts. Make sure that you are keeping your WordPress updated all the time so you can avoid hacking attempts. Another important thing that you will have to focus on is to avoid using too many plugins. If you are using multiple third-party plugins, then it can also create loopholes for the hackers to attack your website. Most of the free plugins are not always secure. If you are using too many plugins on your site, then it can open a gateway to multiple hacking attempts, and you will end up losing your website. It is necessary for you to avoid using various third-party plugins or delete those plugins that you are not using. When you are installing themes or plugins to your website, you must always consider using those themes and plugins that you are downloading from a secured source. Most of the theme files and plugin files contain error scripts that can ruin your whole WordPress website. Make sure that you are using a secured place to download these files to avoid future problems. When you are trying to secure your WordPress website, then the most important thing that you will have to consider is to use secure admin username and passwords. Make sure that you are creating strong admin username and passwords to avoid all sorts of threats to your website. Moreover, make sure that you keep changing the passwords after a certain time limit. There are countless ways to improve the security of your WordPress website. One of the most important ones is to use two-step authentication. If you are using this for your WordPress website, then it will become easier for you to secure your WordPress as it will allow you to improve the security of your WordPress website and you will have to use an authorisation code to enter your site. Firewalls are always important for your system to make it more secure. If you are not using a firewall on your computer, then you will end up facing multiple issues. It is always better for you to secure your WordPress website by using a firewall to your computer so you can avoid all the hacking attempts. It will add another layer of protection to keep the hackers away from your website and system. If you want to enhance your WordPress site security, then you should also consider limiting the login attempts. If you have multiple users, then it is necessary for you to define the login attempts to avoid hacking attempts. Make sure that you are setting the login attempts to maximum three attempts. It will prevent someone who is trying to get access to your website by using different combinations through software. It is understood that having a backup of your WordPress website is one of the most important things that you need to focus on. If you are not keeping a backup of your site, then you are living dangerously. Make sure that you are using multiple plugins to keep a backup of your website. Even if your WordPress website gets hacked, you will be able to restore it by having a backup. Most of the users do not buy themes and plugins. If you are using a premium theme or plugins, then it is better to invest your money on the product rather than having a nulled version running on your website. If you are running a nulled version, then it is possible that it has malicious code and scripts that can ruin your WordPress website. Another critical factor that will play an essential role in the security of your WordPress website is your hosting plan. Make sure that you are selecting a secure web hosting environment for your site that will provide you with an excellent solution to all the problems. Make sure your web hosting service is offering you security against all the common hacking threats. It is necessary for you to close all the loopholes for the hackers. 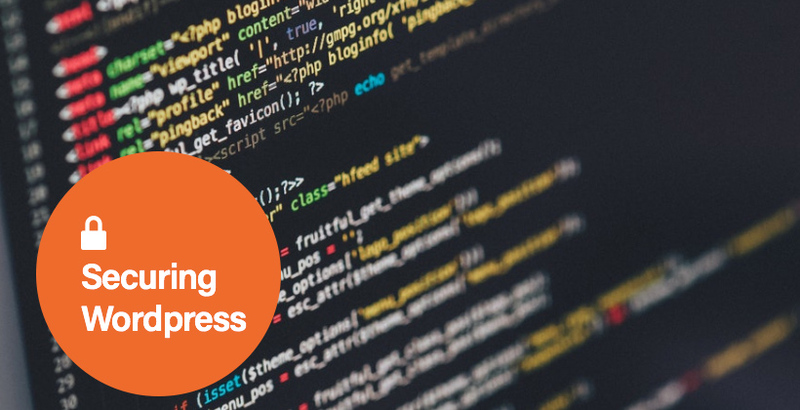 Eliminating PHP error reporting is another meaningful way of securing your WordPress website. Error reports will contain the path to your server. Hackers only need a path to get into your system. By adding a code snippet to your wp-config.php file, you will be able to eliminate the error reporting. Another critical factor is to keep your WordPress themes and plugins up to date. Just like keeping your WordPress updated, keeping your themes and plugins updated is one of the most important things to secure your website. Hackers usually find a loophole in the code files of the outdated version of the product. If you are keeping your themes updated, you will be able to secure your WordPress website.